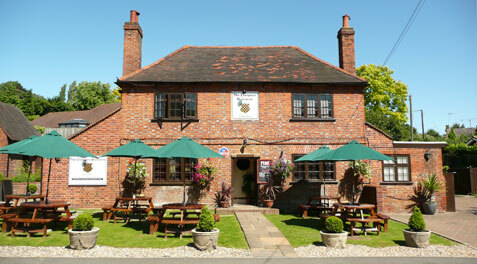 I found The Chequers Brasserie in Cookham Dean, Marlow online. Great first impressions as the restaurant had a nice outside. We were able to get a seat in the conservatory which had a lot of plates and ornaments dotted around. The lunch was served swiftly and was very well presented – it tasted extremely fresh and well cooked. A nice selection of teas and coffees were available. To top it off, when the bill was served, we were each given a small piece of rock too! A Top Rated Sunday lunch in Marlow.